Messengers, musicians, soldiers, attendants, etc. The play picks up where Henry IV, Part 1 left off. Its focus is on Prince Hal's journey toward kingship, and his ultimate rejection of Falstaff. However, unlike Part One, Hal's and Falstaff's stories are almost entirely separate, as the two characters meet only twice and very briefly. The tone of much of the play is elegiac, focusing on Falstaff's age and his closeness to death, which parallels that of the increasingly sick king. Falstaff is still drinking and engaging in petty criminality in the London underworld. He first appears, followed by a new character, a young page whom Prince Hal has assigned him as a joke. Falstaff enquires what the doctor has said about the analysis of his urine, and the page cryptically informs him that the urine is healthier than the patient. Falstaff delivers one of his most characteristic lines: "I am not only witty in myself, but the cause that wit is in other men." Falstaff promises to outfit the page in "vile apparel" (ragged clothing). He then complains of his insolvency, blaming it on "consumption of the purse." They go off, Falstaff vowing to find a wife "in the stews" (i.e., the local brothels). The Lord Chief Justice enters, looking for Falstaff. Falstaff at first feigns deafness in order to avoid conversing with him, and when this tactic fails pretends to mistake him for someone else. As the Chief Justice attempts to question Falstaff about a recent robbery, Falstaff insists on turning the subject of the conversation to the nature of the illness afflicting the King. He then adopts the pretense of being a much younger man than the Chief Justice: "You that are old consider not the capacities of us that are young." Finally, he asks the Chief Justice for one thousand pounds to help outfit a military expedition, but is denied. He has a relationship with Doll Tearsheet, a prostitute, who gets into a fight with Ancient Pistol, Falstaff's ensign. After Falstaff ejects Pistol, Doll asks him about the Prince. Falstaff is embarrassed when his derogatory remarks are overheard by Hal, who is present disguised as a musician. Falstaff tries to talk his way out of it, but Hal is unconvinced. When news of a second rebellion arrives, Falstaff joins the army again, and goes to the country to raise forces. There he encounters an old school friend, Justice Shallow, and they reminisce about their youthful follies. Shallow brings forward potential recruits for the loyalist army: Mouldy, Bullcalf, Feeble, Shadow and Wart, a motley collection of rustic yokels. Falstaff and his cronies accept bribes from two of them, Mouldy and Bullcalf, not to be conscripted. In the other storyline, Hal remains an acquaintance of London lowlife and seems unsuited to kingship. 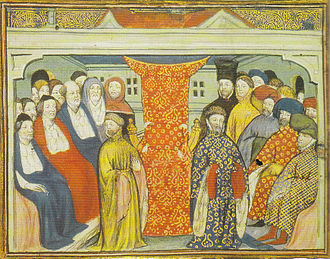 His father, King Henry IV is again disappointed in the young prince because of that, despite reassurances from the court. Another rebellion is launched against Henry IV, but this time it is defeated, not by a battle, but by the duplicitous political machinations of Hal's brother, Prince John. King Henry then sickens and appears to die. Hal, seeing this, believes he is King and exits with the crown. King Henry, awakening, is devastated, thinking Hal cares only about becoming King. Hal convinces him otherwise and the old king subsequently dies contentedly. 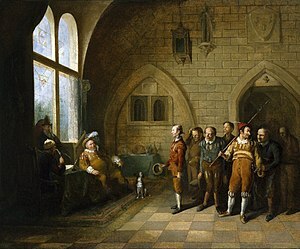 The two story-lines meet in the final scene, in which Falstaff, having learned from Pistol that Hal is now King, travels to London in expectation of great rewards. But Hal rejects him, saying that he has now changed, and can no longer associate with such people. The London lowlifes, expecting a paradise of thieves under Hal's governance, are instead purged and imprisoned by the authorities. At the end of the play, an epilogue thanks the audience and promises that the story will continue in a forthcoming play "with Sir John in it, and make you merry with fair Katharine of France; where, for all I know, Falstaff shall die of a sweat". In fact, Falstaff does not appear on stage in the subsequent play, Henry V, although his death is referred to. The Merry Wives of Windsor does have "Sir John in it", but cannot be the play referred to, since the passage clearly describes the forthcoming story of Henry V and his wooing of Katherine of France. Falstaff does "die of a sweat" in Henry V, but in London at the beginning of the play. His death is offstage, described by another character and he never appears. His role as a cowardly soldier looking out for himself is taken by Ancient Pistol, his braggart sidekick in Henry IV, Part 2 and Merry Wives. The epilogue also assures the playgoer that Falstaff is not based on the anti-Catholic rebel Sir John Oldcastle, for "Oldcastle died martyr, and this is not the man." Falstaff had originally been named Oldcastle, following Shakespeare's main model, an earlier play The Famous Victories of Henry V. Shakespeare was forced to change the name after complaints from Oldcastle's descendants. While it is accepted by modern critics that the name was originally Oldcastle in Part 1, it is disputed whether or not Part 2 initially retained the name, or whether it was always "Falstaff". According to René Weis, metrical analyses of the verse passages containing Falstaff's name have been inconclusive. 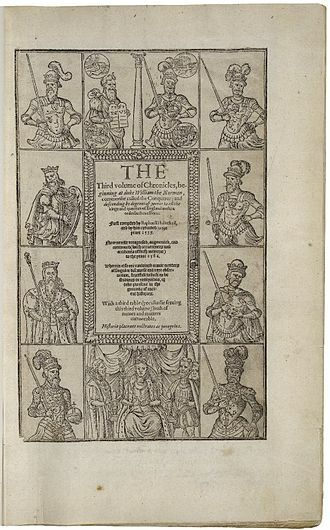 Shakespeare's primary source for Henry IV, Part 2, as for most of his chronicle histories, was Raphael Holinshed's Chronicles; the publication of the second edition in 1587 provides a terminus a quo for the play. Edward Hall's The Union of the Two Illustrious Families of Lancaster and York appears also to have been consulted, and scholars have also supposed Shakespeare to have been familiar with Samuel Daniel's poem on the civil wars. Henry IV, Part 2 is believed to have been written sometime between 1596 and 1599. It is possible that Shakespeare interrupted his composition of Henry IV, Part 2 somewhere around Act 3-Act 4, so as to concentrate on writing The Merry Wives of Windsor, which may have been commissioned for an annual meeting of the Order of the Garter, possibly the one held on 23 April 1597. The play was entered into the Register of the Stationers' Company in 1600 by the booksellers Andrew Wise and William Aspley. The play was published in quarto the same year (printing by Valentine Simmes). Less popular than Henry IV, Part 1, this was the only quarto edition. The play next saw print in the First Folio in 1623. The quarto's title page states that the play had been "sundry times publicly acted" before publication. Extant records suggest that both parts of Henry IV were acted at Court in 1612—the records rather cryptically refer to the plays as Sir John Falstaff and Hotspur. A defective record, apparently to the Second part of Falstaff, may indicate a Court performance in 1619. The earliest extant manuscript text of Henry IV, Part 2 is the Dering Manuscript, redacted around 1623. Part 2 is generally seen as a less successful play than Part 1. Its structure, in which Falstaff and Hal barely meet, can be criticised as undramatic. 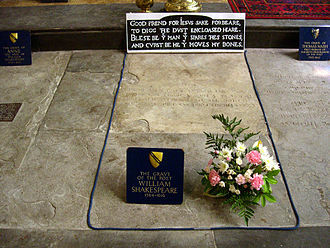 Some critics believe that Shakespeare never intended to write a sequel, and that he was hampered by a lack of remaining historical material with the result that the comic scenes come across as mere "filler". However, the scenes involving Falstaff and Justice Shallow are admired for their touching elegiac comedy, and the scene of Falstaff's rejection can be extremely powerful onstage. The critic Harold Bloom has suggested the two parts of Henry IV along with the Hostess' elegy for Sir John in Henry V may be Shakespeare's greatest achievement. There have been three BBC television films of Henry IV, Part 2. In the 1960 mini-series An Age of Kings, Tom Fleming starred as Henry IV, with Robert Hardy as Prince Hal and Frank Pettingell as Falstaff. The 1979 BBC Television Shakespeare version starred Jon Finch as Henry IV, David Gwillim as Prince Hal and Anthony Quayle as Falstaff. In the 2012 series The Hollow Crown, Henry IV, Part I and Part II were directed by Richard Eyre and starred Jeremy Irons as Henry IV, Tom Hiddleston as Prince Hal and Simon Russell Beale as Falstaff. Orson Welles' Chimes at Midnight (1965) compiles the two Henry IV plays into a single, condensed storyline, while adding a handful of scenes from Henry V and dialogue from Richard II and The Merry Wives of Windsor. The film stars Welles himself as Falstaff, John Gielgud as King Henry, Keith Baxter as Hal, Margaret Rutherford as Mistress Quickly and Norman Rodway as Hotspur. BBC Television's 1995 Henry IV also combines the two Parts into one adaptation. Ronald Pickup played the King, David Calder Falstaff, and Jonathan Firth Hal. Gus Van Sant's 1991 film My Own Private Idaho is loosely based on both parts of Henry IV. The one-man hip-hop musical Clay is loosely based on Henry IV. In 2015 The Michigan Shakespeare Festival produced an award-winning combined production - directed and adapted by Janice L Blixt of the two plays focusing on the relationship between Henry IV and Prince Hal. The Ultimate Edition of Monty Python and the Holy Grail features subtitles correlating scenes in the film to lines from the play. A line from the play, "Uneasy lies the head that wears a crown", is frequently quoted (and misquoted, as "Heavy lies the crown..."). It appears in the opening frame of the movie The Queen. ^ René Weis (ed), Henry IV, Part 2, Oxford University Press, 1997, p.37. ^ Humphreys, A. R., ed. (1981). King Henry IV, Part 2. The Arden Shakespeare, second series. Bloomsbury Publishing. pp. xxxiii–xxxiv. doi:10.5040/9781408160350.40000045. ISBN 978-1-9042-7106-2 – via Drama Online Library. (Subscription required (help)). ^ T.W. Craik (ed. ), The Merry Wives of Windsor (Oxford: Oxford University Press, 1990), 1–13. See also H.J. Oliver (ed.). The Merry Wives of Windsor (London: Arden, 1972), lv and Leslie Hotson Shakespeare versus Shallow (London: Kessinger, 2003), 111–122. ^ Halliday, F. E. A Shakespeare Companion 1564–1964. Baltimore, Penguin, 1964; p. 215. ^ The Anatomy of Influence, 2011. ^ "BFI Screenonline: An Age of Kings". Retrieved 2012-07-04. ^ "BFI Screenonline: Henry IV Part 2 (1979)". Retrieved 2015-01-31. ^ "Cultural Olympiad 2012: Shakespeare's History Plays", BBC Media Centre, 24 November 2011. Retrieved 2012-07-04. ^ Jones, Kenneth (27 August 2008). "Matt Sax's Hip-Hop Musical 'Clay' Plays KC Prior to NYC". Playbill On-Line. Retrieved 10 September 2008. Henry the Fourth part 2 at Project Gutenberg. Henry Percy, 1st Earl of Northumberland, 4th Baron Percy, titular King of Mann, KG, Lord Marshal was the son of Henry de Percy, 3rd Baron Percy, and a descendant of Henry III of England. His mother was Mary of Lancaster, daughter of Henry, 3rd Earl of Lancaster, son of Edmund, Earl of Leicester and Lancaster, Henry Percy was originally a follower of Edward III of England, for whom he held high offices in the administration of northern England. At a young age he was made Warden of the Marches towards Scotland in 1362, in February 1367 he was entrusted with the supervision of all castles and fortified places in the Scottish marches. He went on to support King Richard II and was created an Earl, after Richard elevated his rival Ralph Neville to the position of Earl of Westmorland in 1397, Percy supported the rebellion of Henry Bolingbroke, who became King as Henry IV. On King Henry IVs coronation he was appointed Constable of England, in 1403 the Percys turned against Henry IV in favour of Edmund Mortimer, 5th Earl of March, and conspired with Owain Glyndŵr against King Henry. 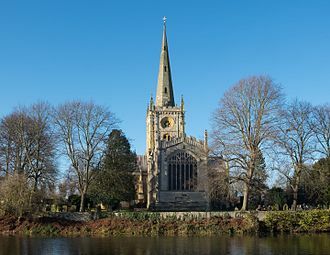 The Tripartite Indenture was signed by all three parties, which divided England up between them, the Mortimers were to have received the rest of southern England, below the river Trent. The Percy rebellion failed at the Battle of Shrewsbury, where Hotspur was killed, since the earl did not directly participate in the rebellion, he was not convicted of treason. However, he lost his office as Constable, in 1405 Percy supported Richard le Scrope, Archbishop of York, in another rebellion, after which Percy fled to Scotland, and his estates were confiscated by the king. In 1408 Percy invaded England in rebellion once more and was killed at the Battle of Bramham Moor, Percys severed head was subsequently put on display at London Bridge. In 1358, he married Margaret Neville, daughter of Ralph Neville, 2nd Baron Neville de Raby and they had four sons and one daughter. Northumberland is a character in Shakespeares Richard II, Henry IV, part 1. The other novels in the trilogy, Lion Dormant and Lion Invincible tell the story of his other descendants and their role in the English War of the Roses. Elizabeth Mortimer, Baroness Camoys was an English noblewoman, the granddaughter of Lionel of Antwerp, 1st Duke of Clarence, and great-granddaughter of King Edward III. Her first husband was Sir Henry Percy, known to history as Hotspur and she married secondly Thomas de Camoys, 1st Baron Camoys. She is represented as Kate, Lady Percy, in Shakespeares Henry IV, Part 1, the couple resided at Alnwick Castle in Northumberland. They had two children, Henry Percy, 2nd Earl of Northumberland, who married Eleanor Neville, by whom he had issue and he was slain at the First Battle of St Albans. On 21 July 1403, Elizabeths husband was slain at the Battle of Shrewsbury while commanding an army that fought against the superior forces of King Henry IV. She had him buried in York Minster in November of that year, in January 1404, Percy was posthumously declared a traitor and his lands were forfeited to the Crown. The king ordered Elizabeth herself arrested on 8 October 1403, sometime after 3 June 1406, Elizabeth Mortimer was married to her second husband, Thomas de Camoys, 1st Baron Camoys. Although Camoys was in his mid-sixties, she may have had a son by him, like her first husband, Camoys was a renowned soldier who commanded the left wing of the English army at the Battle of Agincourt on 25 October 1415. Elizabeth died on 20 April 1417 at the age of 46 years and she was buried in St. Georges Church at Trotton, Sussex. Her second husband was buried beside her and their table-tomb with its fine monumental brass depicting the couple slightly less than life size and holding hands can be viewed in the middle of the chancel inside the church. King Henry VIIIs Queen consort Jane Seymour was one of Elizabeth Mortimers many descendants through her daughter Elizabeth Percy, Lady Elizabeth is represented as Kate, Lady Percy, in William Shakespeares plays Henry IV, Part 1 and Henry IV, Part 2. The Complete Peerage, edited by H. A, the Complete Peerage, edited by H. A. The Complete Peerage, edited by H. A, davies, R. R. Mortimer, fourth earl of March and sixth earl of Ulster. 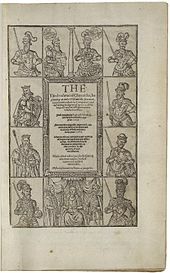 Mortimer, third earl of March and earl of Ulster, John L.
Henry V is a history play by William Shakespeare, believed to have been written around 1599. It tells the story of King Henry V of England, focusing on events immediately before, in the First Quarto text, it was entitled The Cronicle History of Henry the fift, which became The Life of Henry the Fifth in the First Folio text. The play is the part of a tetralogy, preceded by Richard II, Henry IV, Part 1. In Henry V, the prince has become a mature man. Elizabethan stages did not use scenery, acknowledging the difficulty of conveying great battles and shifts of location on a bare stage, the Chorus calls for a Muse of fire so that the actor playing King Henry can ssume the port of Mars. He asks, Can this cockpit hold / The vasty fields of France, and encourages the audience to use their imaginary forces to overcome the stages limitations, Piece out our imperfections with your thoughts. The early scenes deal with the embarkation of Henrys fleet for France, when the Chorus reappears, he describes the countrys dedication to the war effort – They sell the pasture now to buy the horse. The chorus tells the audience, Well not offend one stomach with our play, at the siege of Harfleur, Henry utters one of Shakespeares best-known speeches, beginning Once more unto the breach, dear friends. He agonizes about the burden of being king, noting that a king is only a man. Before the battle, Henry rallies his troops with the famous St Crispins Day Speech, referring to we few, we happy few, following the victory at Agincourt, Henry attempts to woo the French princess, Catherine of Valois. This is difficult because neither speaks the language well. As with all of Shakespeares serious plays, a number of comic characters appear whose activities contrast with. In this case, they are mostly common soldiers in Henrys army, and they include Pistol and Bardolph from the Henry IV plays. The army includes a Scot, an Irishman, and an Englishman, and Fluellen, the play deals briefly with the death of Falstaff, Henrys estranged friend from the Henry IV plays, whom Henry had rejected at the end of Henry IV, Part 2. Humphrey of Lancaster, 1st Duke of Gloucester, 1st Earl of Pembroke, KG was an English nobleman. Mettled and courageous, he was a foil for the beautiful Jacqueline of Hainaut and his learned, widely read, scholarly approach to the early renaissance cultural expansion demonstrated the quintessential well-rounded princely character. He was an exemplar for Oxford, diplomatic, with political cunning, unlike his brothers, he was not naturally brave, but opinionated and judgmental. 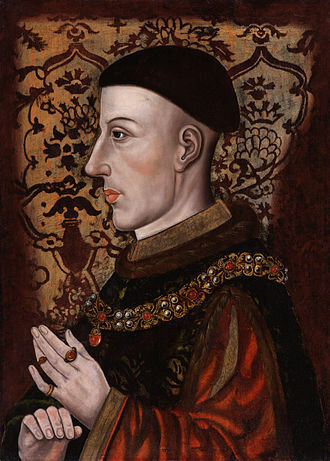 He exaggerated his own achievements, but idolized his brother Henry V and he was the youngest in a powerful quadrumvirate of brothers, who were very close companions, on 20 March 1413, Henry and Humphrey had been at their dying fathers bedside. Thomas and Humphrey had all been knighted in 1399 and they joined the Order of the Garter together in 1400. The place of his birth is unknown, but he was named after his grandfather, Humphrey de Bohun. 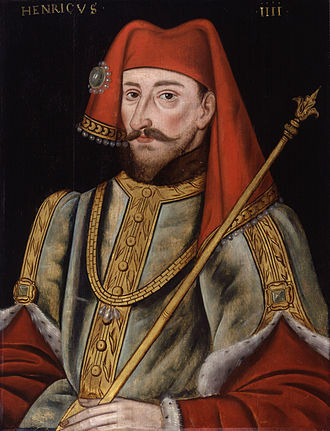 During the reign of Henry IV, Humphrey received a scholars education, following his fathers death he was created Duke of Gloucester in 1414, and Chamberlain of England, and he took his seat in Parliament. In 1415 he became a member of the Privy Council, before embarking for France, the army camped at Southampton, where the Earl of Cambridge failed in an assassination plot to kill the king. Humphrey and his brother, the Duke of Clarence, led an Inquiry of Lords to try Lords Cambridge, during Henry Vs campaigns in France, Humphrey gained a reputation as a successful commander. His knowledge of warfare, gained from his classical studies. During the Battle of Agincourt Humphrey was wounded, as he fell, the king sheltered his body, for his services, Humphrey was granted offices including Constable of Dover, Warden of the Cinque Ports on 27 November, and Kings Lieutenant. His tenure in government was peaceful and successful and this period commenced with Emperor Sigismunds peace mission. At Paris in March 1416, the Emperor was arrested on the beach by Duke Humphrey, the Treaty of eternal friendship signed at Canterbury on 15 August served only to anticipate renewed hostility from France. Upon the death of his brother in 1422, Humphrey became Lord Protector to his young nephew Henry VI and he claimed the right to the regency of England following the death of his elder brother, Duke of Bedford. Ancient Pistol is a swaggering soldier who appears in three plays by William Shakespeare. Though full of grandiose boasts about his prowess, he is essentially a coward, the character is introduced in Henry IV, part 2 and reappears in The Merry Wives of Windsor and Henry V. The characters first name is never given and he is referred to as Falstaffs ancient, meaning ensign, or standard bearer. Pistol is introduced as a swaggerer who suddenly turns up at the Boars Head Tavern, Falstaff tells her that Pistol is his ancient. He gets into a fight with Falstaff after an exchange of insults with the prostitute Doll Tearsheet, in another scene it is revealed that the police are after him because a man he assaulted in tandem with Doll Tearsheet and Mistress Quickly has died. He shares Falstaffs punishment of banishment from the king at the end of the play, Pistol reappears as Falstaffs crony in The Merry Wives of Windsor and is roped into Falstaffs scheme to seduce the wives. He and his colleague Corporal Nym believe such a scheme beneath their dignity as soldiers, Falstaff dismisses them from his service and in revenge they inform the wives husbands of Falstaffs plan, leading to Falstaffs humiliations at their hands. He decides to pursue Mistress Quickly, dressed as a fairy, he participates in the final scene at Hernes Oak. The phrase the worlds my oyster derives from one of Pistols lines in the play, Why the worlds mine oyster, Pistol plays a major role in Henry V. He marries Mistress Quickly after the death of Falstaff, though its implied that he is still involved with Doll Tearsheet. In the war in France, he gets into a feud with the Welsh officer Fluellen, in the end Fluellen beats him and forces him to eat a raw leek. At Agincourt he becomes involved in comic antics with a French soldier, after the battle he gets a letter from which he learns that my Doll is dead from malady of France, i. e. syphilis. He says he intends to desert, return to England and become a pimp, Pistol is the Elizabethan version of the miles gloriosus, the braggart soldier from Roman-comedy. Another possible source is the character Piston in Thomas Kyds play Soliman, there are numerous puns on his name in the plays, with comic reference to his explosive temperament, tendency to misfire, and his unrestrained phallic sexuality. Robert Smirke RA was an English painter and illustrator, specialising in small paintings showing subjects taken from literature. He was a member of the Royal Academy, Smirke was born at Wigton near Carlisle, the son of a travelling artist. When he was twelve he was apprenticed to a painter in London. In 1775 he became a member of the Incorporated Society of Artists, with which he began to exhibit by sending five works, he showed works there again in 1777 and 1778. In 1786 he exhibited Narcissus and The Lady and Sabrina at the Royal Academy, in 1791 Smirke was elected an associate of the Royal Academy, in which year he exhibited The Widow. He became an academician in 1793, when he painted as his diploma work Don Quixote. His last contribution to the academy, entitled Infancy, appeared in 1813, Smirke is generally accepted as the author in 1815–16 of a series of satirical Catalogues Raisonnés, which savagely lampooned the great and the good of British art patronage. Of his sons, Richard Smirke, was a notable antiquarian artist and Sydney both became notable architects and were both elected members of the Royal Academy. His fourth son, Edward was a lawyer and antiquary. There is a portrait of Smirke by John Jackson taken from a picture by Mary Smirke. Sir William John Newton painted several miniatures of him, Smirke died at 3 Osnaburgh Terrace, Regents Park, London, on 5 January 1845, aged 92, and was buried in Kensal Green Cemetery. Smirkes pictures were usually of small size and painted in monochrome, the Pedagogue, engraved by Joseph Goodyear for the Amulet of 1830, is typical. The Rivals was engraved by William Finden for the Keepsake of 1828, The Secret, by James Mitchell for the annual in 1830. Smirke painted some pictures for John Boydells Shakespeare Gallery and for Bowyers History of England and these works included Katharine and Petruchio and the Nurse, Prince Henry and Falstaff, and The Seven Ages. A large commemorative plate, with fifteen medallion portraits, of The Victory of the Nile was engraved by John Landseer from his design. In the Guildhall Art Gallery was a picture by him representing Conjugal Affection, or Industry and Prudence, and this article incorporates text from a publication now in the public domain, Hugh, ed. King Richard the Second is a history play by William Shakespeare believed to have been written in approximately 1595. Although the First Folio edition of Shakespeares works lists the play as a history play, the play spans only the last two years of Richards life, from 1398 to 1400. Bolingbrokes father, John of Gaunt, 1st Duke of Lancaster, the tournament scene is very formal with a long, ceremonial introduction, but as the combatants are about to fight, Richard interrupts and sentences both to banishment from England. Bolingbroke is originally sentenced to ten years banishment, but Richard changes this to six years, Mowbray predicts that the king will sooner or fall at the hands of Bolingbroke. John of Gaunt dies and Richard II seizes all of his land and they help Bolingbroke to return secretly to England, with a plan to overthrow Richard II. There remain, subjects who continue faithful to the King, among them Bushy, Green, when King Richard leaves England to attend to the war in Ireland, Bolingbroke seizes the opportunity to assemble an army and invades the north coast of England. Executing both Bushy and Green, he wins over the Duke of York, whom Richard has left in charge of his government in his absence, upon Richards return, Bolingbroke not only reclaims his lands but lays claim to the very throne. Crowning himself King Henry IV, he has Richard taken prisoner to the castle of Pomfret, after interpreting King Henrys living fear as a reference to the still-living Richard, an ambitious nobleman goes to the prison and murders him. King Henry repudiates the murderer and vows to journey to Jerusalem to cleanse himself of his part in Richards death, a somewhat more complicated case is presented by the anonymous play sometimes known as The First Part of Richard II. This play, which exists in one manuscript copy is subtitled Thomas of Woodstock. This play treats the leading up to the start of Shakespeares play. 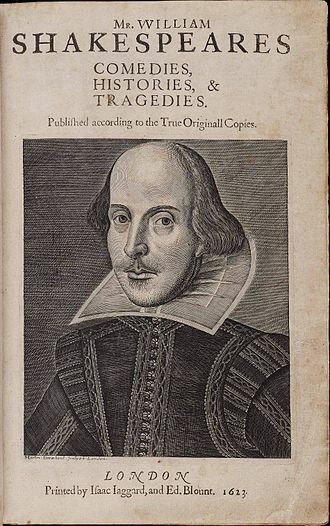 The play was entered into the Register of the Stationers Company on 29 August 1597 by the bookseller Andrew Wise, the second and third quartos followed in 1598 – the only time a Shakespearean play was printed in three editions in two years. Edward Ned Poins, generally referred to as Poins, is a fictional character who appears in two plays by Shakespeare, Henry IV, Part 1 and Henry IV, Part 2. He is mentioned in The Merry Wives of Windsor, Poins is Prince Hals closest friend during his wild youth. He devises various schemes to ridicule Falstaff, his rival for Hals affections, unlike Hals other principal low-life associates, who all reappear in Henry V, Poins disappears from the narrative with no explanation. Poins appears early in Henry IV, Part I to inform Falstaff that at Gads Hill there will be unprotected pilgrims going to Canterbury with rich offerings and he suggests that they organise a robbery. When Falstaff and the others agree, Poins says to Hal that the pair of them should play trick on Falstaff by letting them rob the travellers, the point of the jest will be to hear the incomprensible lies Falstaff will tell to excuse himself. When they surprise Falstaff, he and his followers instantly run away, Poins is with Hal when Hal plays a joke on Francis, a drawer at the Boars Head. He listens to Falstaffs increasingly ridiculous lies, in Part 2 Poins discusses the illness of Hals father the king, expecting Hal to be pleased at the prospect of his fathers death. Hal gets a letter from Falstaff, in which Falstaff tells him not to trust Poins because he has been telling people that Hal will be marrying Poins sister Nell, bardolph and a boy arrive with news that Falstaff is metting Doll Tearsheet at the tavern. Poins suggests that they disguise themselves again, this time as waiters, at the tavern, Doll asks why Hal likes Poins, Falstaff says that they are both similar in size and shape, and equally empty headed, His wit’s as thick as Tewkesbury mustard. There’s no more conceit in him than is in a mallet, Poins principal role is to act as Hals confidant. In Part 2 especially he is more than a sounding board for Hals views. In Part 1 he is presented as the more assertive of the two, being the mastermind of both the Gads Hill robbery and its comeuppance. In this respect Poins is a figure, who is both part of the criminal underworld and of the superior social world that looks down on it. Ralph Neville's grandson Richard Neville aka "The Kingmaker"
The title page of the 1619 quarto (the False Folio): A most pleasant and excellent conceited comedy, of Sir John Falstaffe, and the merry wiues of Windsor. A watercolor of Act III, Scene iii: Falstaff wooing Mistress Ford. The title page from a 1565 printing of Giovanni Fiorentino's 14th century tale, Il Pecorone. Lord Patten, robed as Chancellor of Oxford University, assisted by a page. Alof de Wignacourt and his page, by Caravaggio, c. 1608. The Queen and the Page, by Marianne Stokes, 1896. Painting of a page boy with silver collar, Dutch, 17th century. The title page of Henry IV, part 2, advertising that it contains the "humours of Sir John Falstaff and swaggering Pistol", suggesting that Pistol was a popular character. Shetland ponies with their drivers and formally dressed grooms in attendance. A woman grooming a horse's tail. Eastcheap in 2007, looking west towards Monument. The building with the two gables on the right is the Victorian Gothic 33-35 Eastcheap. Hal and Poins listen to Falstaff's story of the robbery.